Former Canadiens captain and ex-head coach Guy Carbonneau knows "hockey love hurts" but he's not falling for Ron Hextall as the next Habs' GM. Carbo pans the rumoured interest in the LA Kings' assistant general manager and former Nordiques and Flyers goalie. But with the Canadiens widening the search to unilingual anglo candidates, Carbonneau has urged caution: "make the right decision...Jim Nill would be a really good candidate if he's well surrounded by people who speak french AND he's willing to learn, then I have no problem with that." Nill has either rejected the Habs' or the Red Wings have used their right to snuff out Montreal interest. Carbo is promoting Visa's "Hockey Love Hurts" contest, and in a wideranging conversation also discussed the hypothetical situation of a return to coaching with the Canadiens...for Patrick Roy as his boss. Also, in Real Man Challenge news, all the videos for Guy's and Wendel Clark's challenges are online at madeformen.ca and concupourleshommes.ca (in French); watch online and vote on who "manned up more." 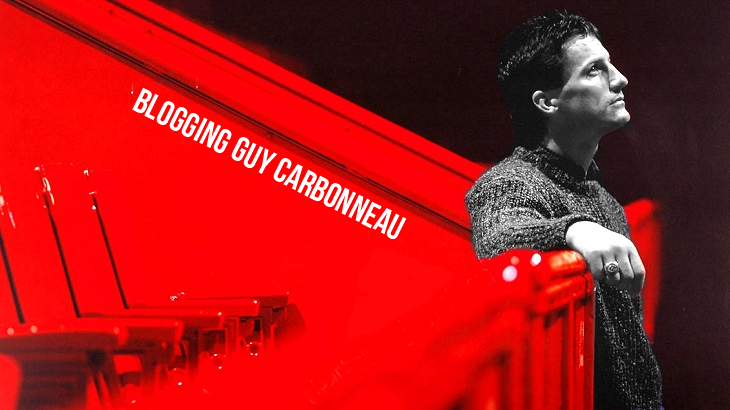 And when voting, don't forget to vote Carbonneau!